As the summer ushers in all varieties of fresh, delicious produce, so too does 4MRMarket grow!! Between last week and this, we welcome three new vendors into the fold. Last Sunday saw Ekaa, Hands That Create brighten up the market with their fantastic and affordable handmade clothing. Raining Cats & Dogs also joined in with gourmet organic and gluten free pet treats. Both will be here again this week! This weekend, Furloughed Feds will be the newest market member. These two local women are finding some "free time" to bake to their heart's content, and 4MRMarket customers will be the lucky beneficiaries. 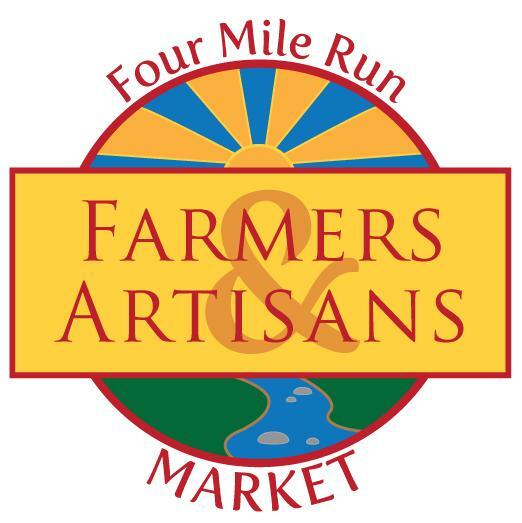 Don't forget all your old favorites, as well: produce, pasture raised beef, artisan cheese, herbal teas, and much more! There's more reason than ever to check out 4MRMarket this weekend! And of course, the 4MRMarket Stage will be humming again from about 10am to Noon with 4MRMarket veteran musician Mike Elosh. Mike is a roots and folk musician that you've probably heard at past markets and during his monthly performances at St. Elmo's Coffee Pub. Sunday at 10am at 4MRMarket Stage! Remember, the concert is free, but Mike and all our performers welcome tips and friendly applause for sharing their craft with you on a lovely Sunday morning. Please come out and support this Dylan-like folk rock singer/songwriter. Mike uses guitar, piano and harmonica to accompany his roots-based music. 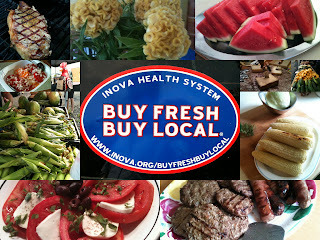 Don't forget that the Buy Fresh, Buy Local and Win campaign continues this weekend at 4MRMarket! Bring your “Farm. Fresh. Pledge.” punch card if you already have one. If you didn't get started yet, just ask for one at 4MRMarket and earn one punch for each $10 you spend on Virginia Grown products. Collect all 14 punches for a chance to win a Virginia Grown® / Virginia’s Finest® gift basket valued at $250. (See the official rules for more details). 4MRMarket will also award prizes to monthly drawings from all punch cards received. Here is what's at 4MRMarket this week. Plus, there may be one or two more new items in store beyond even these! Furloughed Feds - Home baked goodies (cupcakes, brownies, coffee cakes, caramel candies) and breakfast treats (muffins, biscotti, granola), served (for a reasonable price) to the public, in lieu of serving the public. "Let Them Eat Cake...and other Goodies!!" Ekaa, Hands That Create, (Columbia, Maryland) Hand-crafted Home and Fashion accessories.